It's time to replace that unreliable electronic spin feeder. At JKL Outdoors we've designed an innovative, light-weight, and incredibly durable gravity feeder that eliminates all the hassles typically encountered with electronic feeders. Unlike traditional spin feeders, our patented spring-loaded feeder trays allow animals to eat directly from the trays without the need to scatter food all over the ground. 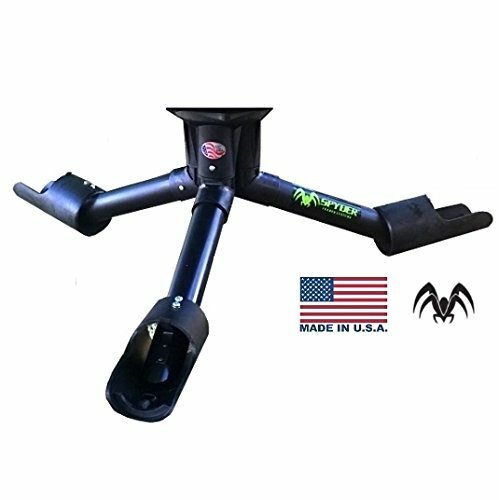 The SPYDER gravity feeder attachment easily attaches to any existing feed barrel, drum, bucket, or food storage container. Simply bolt the SPYDER gravity feeder to the bottom of your container of choice and you're all set. By putting pressure on the feeder trays as they eat, the animals open the flow of food that dispenses from the storage container. Once the pressure is released, the flow is cut off ensuring that food isn't wasted. A small lip on the end of the feeder tray ensures that there is no overflow. You have the ability to adjust the size of the opening and distance the feeder tray travels with a few simple turns of a screw. If you have any questions about this product by JKL Outdoors, contact us by completing and submitting the form below. If you are looking for a specif part number, please include it with your message.